This room features a queen tiger eye maple pencil post canopy bed made by Fred when his mother refused to give him her antique canopy bed. The walls are stenciled using an early American pattern. 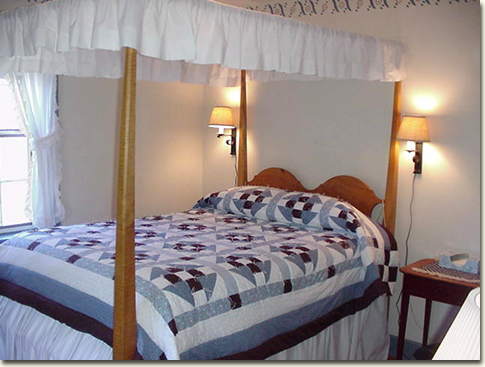 There are steps to help you get into this high bed where you can look out at the mountains to the north and the west. This room is large enough for a roll away bed if there is a third person in your party.